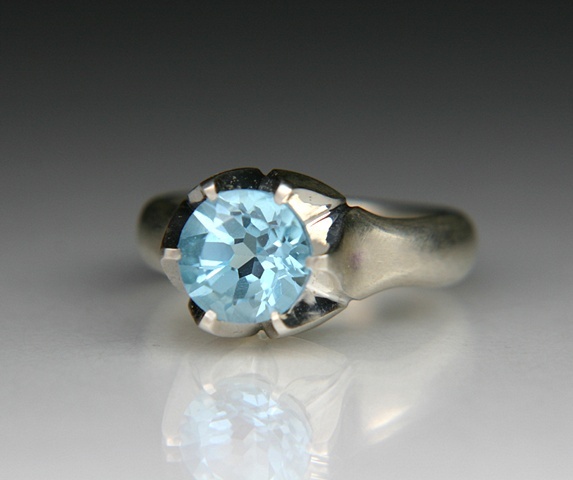 Lotus ring set with a 9mm round Sky Blue Topaz. This ring is made with De-ox Silver, which does not tarnish like sterling silver. The ring is designed to protect the stone so that it can be worn everyday.